The nanoKEY2 features an advanced and up-to-date design. By combining the great-feeling "touch" that Korg has developed for its professional MIDI keyboards and the low-profile "thinness" of recent computer keyboard innovations, the nanoKEY2 provides a superior keyboard response for its class and size. It's designed with ample key width and plenty of space between the keys, reducing the chances of a wrong note. The touch and velocity response have been carefully tuned, as only a manufacturer with Korg's track record and know-how can, ensuring that your expressive performance will be conveyed accurately to your software. The Octave Shift buttons - borrowed from Korg's MIDI controllers - allow the overall pitch to be shifted four levels, either UP or DOWN, in octave increments. For enhanced performances, the nanoKEY2 also provides Pitch Bend buttons, a Modulation button, and a Sustain button - one that's indispensible for piano or electric piano performance. For each of these buttons, the on/off switching speed can be specified over four levels (using the Korg Kontrol Editor), ensuring the smooth changes that are appropriate for your performance. 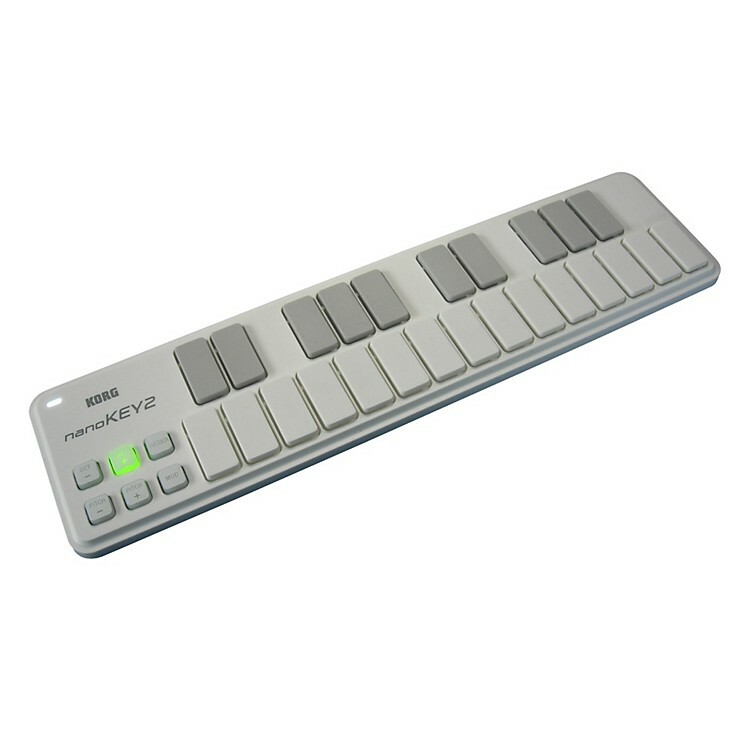 The nanoKEY2 works with the "Korg Kontrol Editor" software - available free on the Korg website. Load it into your computer, and use it to make detailed customized settings. Choose from a total of four velocity settings: three velocity curves or fixed velocity; specify the control change messages transmitted by the modulation button and the sustain button. Get the whole NANO series today!